The Philippines is a country with a large population that also has the characteristic of being very savvy mobile and social media users. Through these habits of Filipinos, brands can leverage the word-of-mouth amplification that happens on Facebook, Twitter and other major social media to obtain extra reach for free, “earned media”. A judicious management of the people’s interests help certain brands to broadcast viral messages on their products and benefit from exponential return on investment from their communication and advertising. One of the ways to foster this viral word-of-mouth is to ride events or people who make the news in addition to benefiting from their positive image. Greg Banzon – General Manager Century Pacific Food Inc.
Their discussion provide some interesting analysis on celebrity endorsement and influence marketing. These insights can help many marketers and companies, big and small, in the Philippines and beyond, to properly manage and engage with influencers. Hopefully, it will guide them to translate this strategy into viral word-of-mouth on social media. McDonald’s and Century Pacific Food Inc. have collaborated with “AlDub” to take advantage of their celebrity and the very positive sentiment they drive in a large community of followers. The success of these celebrity endorsement advertising campaigns is strongly reinforced by the fans of the TV show who eagerly engage about the couple’s romance on social media. Philippine background: Who are “AlDub”? AlDub is a famous couple’s nickname formed by the contraction of two characters from a Philippine television miniseries in the show Eat Bulaga!, Alden Richards playing a fictionalized version of himself, and Maine Mendoza playing Yaya Dub. This “love team” formed live on television became a popular phenomenon in the Philippines, as fans related to their fictional love story and intrigued by their real-life proximity. The couple’s celebrity grew as both male and female fans followed the unraveling of their relationship in the TV show and in real life, giving rise to massive engagement on the major social media platforms and the aggregation of a massive online community fan club referred to as “AlDub Nation” on Facebook or Twitter. This quasi overnight fame of the couple (especially for Maine Mendoza who was previsouly unknown) repeated through various media channels enabled them to attract the eyes of large companies interested in using their image to promote their products, such as Mc Donald’s or Century Pacific Food’s 555 Sardines brand. Learn more about AlDub on wikipedia. A brand needs a strong connection with a celebrity for the endorsement to be the most effective and ensure the high cost of hiring a celebrity will bring a positive return. AlDub managers carefully selected brands that would contribute to the couple’s fame and reinforce their genuine and positive image. Whether they engage with a love couple, a sportsman or an artist, the endorser(s) key characteristic(s) is the benefit the brand can gain from them. Understanding and protecting what drives the brand engagement with an endorser is therefore critical: the brand’s benefit should be at the core of any marketing strategy. Part of the success of McDonald’s campaign with AlDub is that the “love team” has a wide reach with Filipinos through all social and economic classes and for both sexes. Their love story resonates even more with younger generations as Maine Mendoza came from being unknown while Alden Richards was already famous, echoing the popular story of Cinderella. McDonald’s product was already positive before the collaboration, but the endorsement took the product sales “through the roof”. Maybe the very particular connection between the love team and McDonald’s slogan “I’m loving it” provided an extra help in that matter. For Century Food Pacific’s “555 Sardines”, which had in this regard a somehow lesser connection with AlDub, and as a staple food, less appeal to the young demographics, still saw sales volume and brand recognition grow. But even though the TV commercials already lead to positive returns for both brands, it is really through the couple’s reach on Internet that both McDonald’s and Century Pacific obtained extra value. As people debated about what would happen for the TV characters and for the real life duo, they were also commenting their marketing operations. The celebrity endorsement TV campaign spurred what can be referred to as a very successful influencer marketing campaign on Internet. The involvement of fans is exceptionally important and positive, especially during the TV show airing time as they comment live events on social media through their mobile devices. The “AlDub nation” fan club was essential in helping brands gain “earned media” through this viral exposure. The AlDub social community takes the couple’s reach beyond usual engagement with celebrities, even the Philippine “people’s champion”, star boxer Manny Pacquiao. AlDub is the “people’s love team”. Being the stars of a TV show, brands collaborating with AlDub needed to make sure they would not relate to the show’s characters but to the real life true personalities, as rival networks would not air a campaign based on competitors’ show. To achieve this success the brands have had to collaborate deeply both with their advertising agency, the star couple and take fans’ feedback into account. The newness and exceptional circumstances of the couple’s rise to fame led some to question whether they would not disappear as quickly, and then maybe hurt the brand they endorse. Yet, seeing the positive engagement they generate and the millions of fans in their online community it is most likely that they will sustain the phenomenon and fuel creativity and marketing for a long time. Marketers are afraid of marketing spoiling the authenticity of the couple, and the noise around the duo. As more and more brands will eventually come to collaborate with them, the association to a particular product in people’s mind is reduced. That is why time is of essence for brands to be the first to partner with them and make a bigger impression in peoples’ minds. With regards to the collaboration between brands and celebrities, two views can be confronted. On one side, brands could wanr to be separated from the endorsers who remain an “execution element” of the brand strategy. The objective for brands is to avoid suffering from potential negative events in which the celebrities could be involved. On the other side, some examples have shown that brands can also develop further partnerships with their endorsers, such as the creation of the Air Jordan shoes between Nike and Michael Jordan. Over time brands and endorsers can also reinvent themselves through cooperation, as both parties may experience “trough” periods. Hiring a celebrity to promote your brand or product is a costly project that needs to be carefully evaluated and planned. Though employing a star will probably attract earned media through the large influence they possess, you can also try to reach a large earned audience, as in the AlDub case, through influencer marketing. Though not all influencers are equal, there is plethora of influential people on Internet like our 10 top bloggers from the Philippines. They may have a smaller reach than TV stars but they can sometimes be more connected to a particular niche, and cost less to engage. 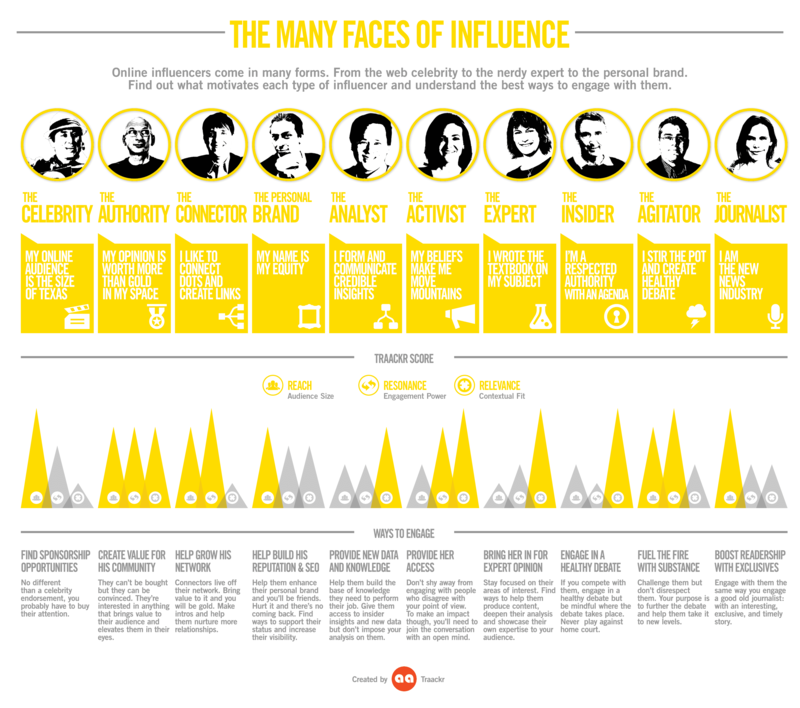 This infography from Smart Insights presents some of the major types of influencers. To sum up, five insights seem to stand out from the AlDub case which could be applicable to any influencer marketing campaign, whatever the size of your business and budget. Now it’s your turn: have you been influenced by a celebrity endorsing a brand or product? What about an Internet influencer? Are you a marketer? Have you ever engaged an influencer marketing campaign? Do you think influencer marketing is worth the investment compared to other tactics? Let us know what you think in the comments!